A while ago, Microsoft released a preview version of SQL Operations Studio. This new software package is supposed to simplify database management by putting frequently used queries into an organized dashboard. We’ve tested the preview version to get acquainted with it. In this blogpost, we’ll share what we think are the strong points and where the software has room to improve. If you want to learn more about this topic, watch the free webinar replay about SQL Operations Studio of January 26th 2018 here. SQL Operations Studio is a standalone application that lets you put frequently used queries into a dashboard for a quick overview of all your databases. The software is lightweight and uses very little resources, so it can effortlessly run next to more demanding tools like SQL Server Management Studio. Using queries on your databases to get information such as available disk size, isn’t new. Before, you could manually run scripts on each database to extract statistics and then combine them. However, if you need to check this data on a daily basis, it becomes quite cumbersome and time-consuming. After a one-time setup per query, Operations Studio runs them for you and presents the results in clear graphs on a dashboard. 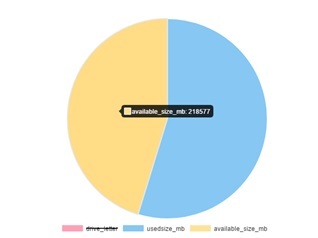 Want to see the status of available disk size the next day too? Just refresh. 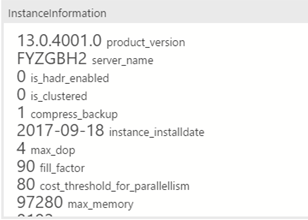 With SQL Operations Studio you can now get insight into your databases with a push of the button. Microsoft’s SQL Server 2017 took the first steps towards Linux, SQL Operations Studio fully embraces it by making querying on Linux platforms easier. This further simplifies management of your databases by combining cross-platform information in one dashboard. Including an open-source operating system is inline with the way Operations Studio is developed, as Microsoft has made the code openly available on GitHub. SQL Operations Studio has a lot of potential, but it still has a long way to go which is to be expected from an unfinished product. For instance, there’s still a plethora of bugs – GitHub mentions a total of 260 at the time of writing this. The graph options are also rather limited for now. They’re sufficient for a test run, but not for complex cases. One option that we’d really like to see is time-based graphs. For example, if you automate a query to run every fifteen minutes, it would be nice if you got time reference points. That way you can figure out why a graph dipped or climbed. We’ve tinkered with queries and creating a dashboard in SQL Operations Studio. Below you’ll find a couple of useful graphs to include with the needed code. Keep in mind, though that not every graph works for every query. If we convert this pie chart to a bar chart however, we get a distorted bar chart, and a very imprecise view of the data. Fig 7. Looks like some jobs need to be scheduled. This one is a bit trickier. The script is bigger and the widget and chart are customized, since the default settings could not display the graph. We created the count chart using create insight and tweaked the JSON settings.